Writing a Mortgage for Sale Listing that will get you the most money! The fear of loss is always greater than the desire for gain. 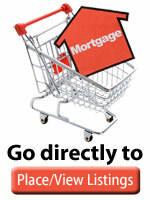 People will not buy your mortgage, even with a high interest rate, if they don’t think they will get their money back. Remember to always answer the four “C”s, Collateral, Commitment, Credit and Capacity. Writing Your Listing and Selecting the Category from the four available. Using our Listings Service is as easy as 1, 2, 3! There are numerous subcategories, so make sure you review all the options before posting an ad. New Purchase: 65% Loan to Value. Refinance: Perfect payment record 5 years. Wanted: Quick closing for shopping center. Try to give the lender as much information as possible. Is this a first or second mortgage request? Do you have good credit? What is your interest rate goal (is this goal realistic)? How long do you want the loan for? You need to sit down and draft what you will put in the text field. Have a good think about it, as a poorly worded add is unlikely to be taken seriously. You can easily outline extra information in your ad and give more information about yourself and your business. Please don’t use ALL CAPS as it makes it much harder to read. For example: THIS SENTENCE IS WRITTEN IN ALL CAPS AND IS LESS LIKELY TO BE READ. Now change it regular upper and lower case and you’ll see the difference. This sentence is written in all caps and is less likely to be read. “I am a 25-year old student with bad credit and no money. I would like to borrow $6 million to buy a shopping center”. PLEASE! Ads like this are just a waste of your time. You’re dreaming. Ask ANYONE in the street if they’d like to own a shopping center (or a hotel or an apartment building) if they didn’t have a dime of their own money at risk and it didn’t matter how bad their credit was. How many people do you think would refuse? Would YOU lend your money to such an individual? Of course not. Because you know full well that the borrower has a high chance of default and you will end up losing money when you eventually go through the legal steps to repossess on a probably trashed property. If you have bad credit and no money the only ways to buy a home are to buy it for well below market price (and get a high interest hard money mortgage), buy a HUD or VA foreclosure or to get a lease option on a home. Please read these notes before you search our database of lenders and mortgage brokers. Firstly, what type of mortgage do you want? Do you have excellent credit trying to get the best terms on a conventional loan, are you a real estate investor who wants short term money so they can fix and flip a property for a profit or are you a first time home buyer with limited funds and so-so credit? This will determine the type of lender or mortgage broker you should be searching for. Make it easy for lenders to contact you. Give a VALID email address that you check often, day and evening phone numbers and a fax number if you have it. Answer for them the 4 Cs. What is the Collateral. The street address of the property. It’s size, what it is worth and how you got that value (recent purchase, comparable sales in area, appraisal etc). How is your Credit? You should not allow the lender to run your credit report at this time, or send it to them. You should tell them your credit score. But you should know what your credit is like and also check for any false information on your credit report so you can get it removed. Get your Credit Report. What is your Commitment? How much of a down payment are you making? What is your Capacity to repay this mortgage? Briefly, how much do you make, what is your career and how long have you been employed there. What other regular debts do you have? The world is full of dishonest individuals who try many underhand methods to obtain money. We cannot validate who posts an ad on our site, although if the ad is clearly a scam we will delete. You must do your own due diligence on any ad you wish to reply to. If a deal seems to be too good to be true, it probably isn’t. Further information on avoiding scams.